Fernando Lopez, of Sarasota, Fla., shows off the 1957 Porsche A T1 that he restored. Most teenagers have to settle for a dented, high-mileage clunker as their first car. Fernando Lopez, however, was given a vintage 1957 Porsche 356 A T1 when he was just 16 years old. Before anyone assumes that Lopez was some spoiled rich kid, consider this: His father, also named Fernando Lopez, was more than happy to part with the Porsche after he was done using it as a race car in Puerto Rico. “If you can fix that hunk of junk in the garage, it’s yours,” Lopez recalled of what his father told him in 1990 about the then-battered car that was streaked with rust and had holes in the floor. Fast forward 28 years, and Lopez was showing off the same 356 A T1 – now restored – on the Ocean City Boardwalk amid admiring looks from Porsche aficionados. 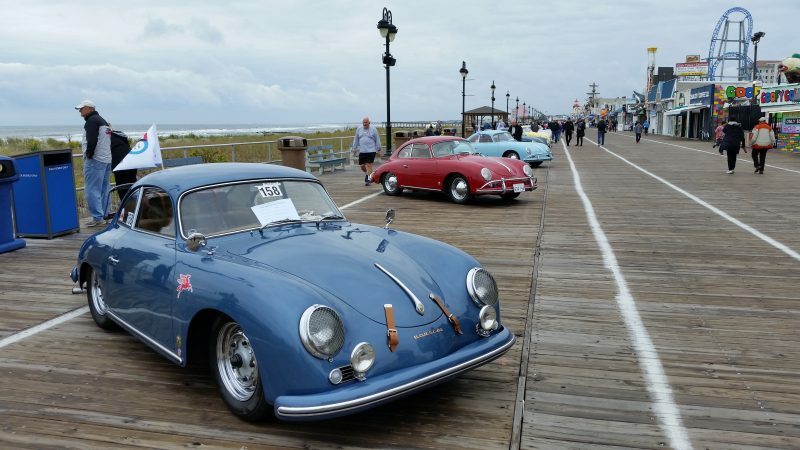 Resplendent in an aqua marine blue metallic paint scheme, Lopez’s former racer was one of the standouts among about 110 vintage Porsche 356 series cars gracing the Boardwalk on Saturday. A classic Porsche convertible attracts a crowd of admirers. 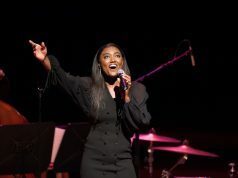 Organized by the Porsche 356 Registry, the “East Coast Holiday” show featured millions of dollars of cars, including one that Lopez noted was worth $1.5 million. “Several million dollars is a good estimate,” he said of the collective value of the cars. 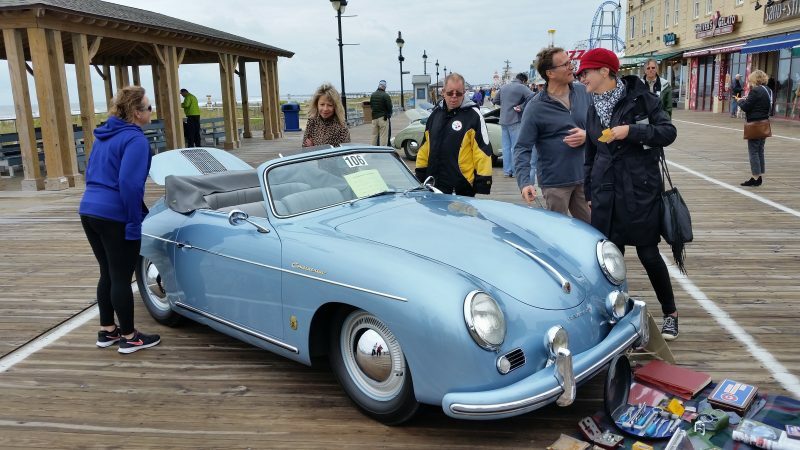 The East Coast Holiday show is a four-day event that also includes driving demonstrations, a promenade of Porsches around town and seminars for 356 series owners. The classic 356 series includes Porsches built between 1948 and 1965. “Many of these people have owned their cars for decades. Some of them are the original owners. 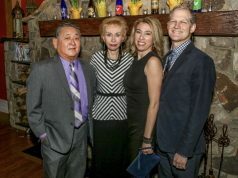 There’s a huge loyalty factor,” said Ellen Beck, a Porsche 356 Registry member and co-chair of the East Coast Holiday show. Beck, of Ijamsville, Md., explained that the 356 series, especially the models from the early 1960s, burnished Porsche’s reputation for making fast, sporty cars often popular on the racing circuit. 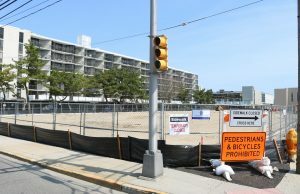 The Porsche 356 Registry, which has 7,000 members worldwide, wanted a dramatic venue to display the cars for the show, so the Ocean City Boardwalk was chosen, Beck said. She praised the city for warmly welcoming the club to town. Porsches dating from 1948 to 1965 line the Boardwalk in a grand display. 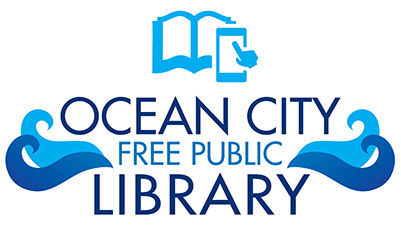 Beck’s 63-year-old husband, Bob Gutjahr, a New Jersey native, began vacationing in Ocean City with his family when he was only 5 years old. 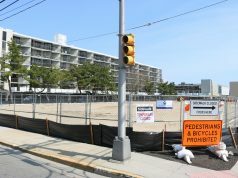 Beck and Gutjahr’s knowledge of the resort town served as the impetus for bringing the Porsches to the Boardwalk. Some of the classic Porsches lining the Boardwalk appeared to be straight off the showroom floor, although they were 50, 60 and 70 years old. 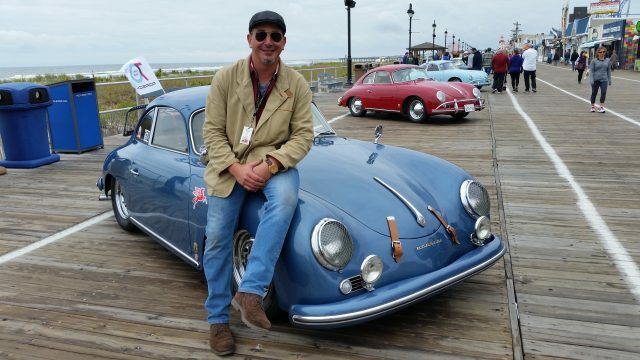 Lopez, who lives in Sarasota, Fla., has a company, called Buildwerks, that specializes in restoring vintage Porsches. Now 42, he began learning how to bring old Porsches back to their original luster with the then-rusty former race car given to him by his father. “As a broke teenager, you learn to make it work,” he said, laughing, of how he kept the old car on the road. 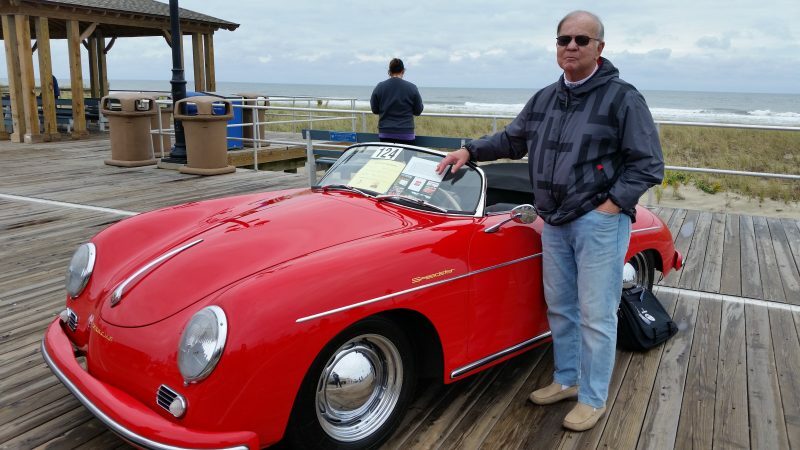 Gary Wolfgang, an orthopedic surgeon from Danville, Pa., bought his 1956 Porsche Speedster 20 years ago for $60,000 and now has it insured for $350,000. Gary Wolfgang, 78, an orthopedic surgeon from Danville, Pa., bought his 1956 Porsche Speedster convertible 20 years ago in pristine shape. The car features stunning red paint, a black top and black interior. Wolfgang noted that the previous owner wanted to sell the car 20 years ago for $85,000, but he was unwilling to pay that much to buy it. “If I pay you $85,000, my wife will leave me,” Wolfgang recalled of what he first told the seller. A year later, the two met again at a swap meet and agreed to a price of $60,000. Now, Wolfgang has the car insured for $350,000. He noted that some Porsche Speedsters from the same era are selling for between $400,000 and $500,000. 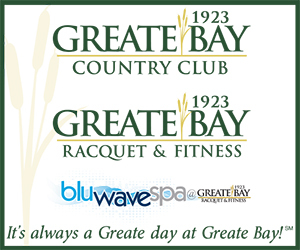 “The old-timers really last. If you keep them nice, they will appreciate, for sure,” Wolfgang said while giving a look of approval at his vintage car. 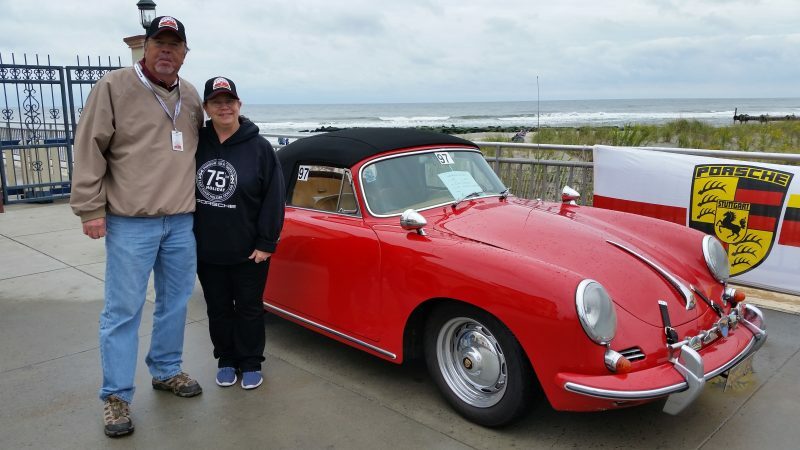 Porsche 356 Registry members Ron Gordon and Ellen Beck, two of the organizers of the show, say the Boardwalk provides a spectacular oceanfront venue.